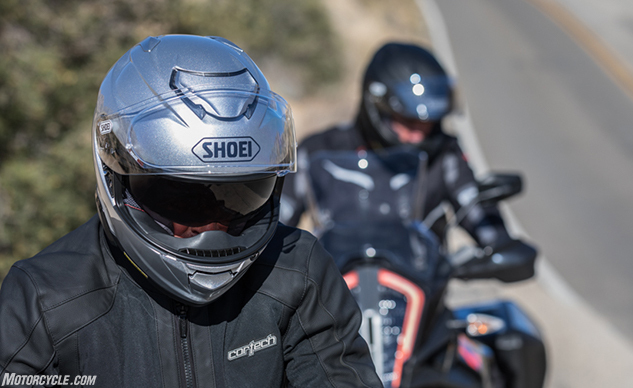 Touring connotes long days in the saddle, and that means long days with your head inside your helmet. Fit, then, is going to be of utmost importance when it comes to selecting a touring helmet. A helmet that gives you a hot spot might not be a huge deal when you’re only wearing it for 45 minutes. Over the course of days, though, like an annoying travel companion, an ill-fitting helmet will grow to be a thing you loathe. Traveling to a brick and mortar store to try helmets on is the best thing you can do, and if that’s not possible then finding an online retailer with a generous return policy is the next best way to go. When you try a helmet on, keep it on for a while too. Minor annoyances that grow large over time can take a while to show themselves. The DLX packs a lot of the features from Bell’s more expensive Stars into a ridiculously inexpensive lid – ridiculously inexpensive mostly because it comes standard with a Transitions faceshield, which sells separately for around $130 if you’re lucky enough to wear a brand that even offers one. When you’re riding all day and half the night, nothing’s more convenient than not having to change faceshields all the time. Among most of the features you expect, the Qualifier also comes rigged for Sena and Cardo Bluetooth stereo headset and intercom systems, with integrated speaker pockets. If the DLX fit, you must admit. 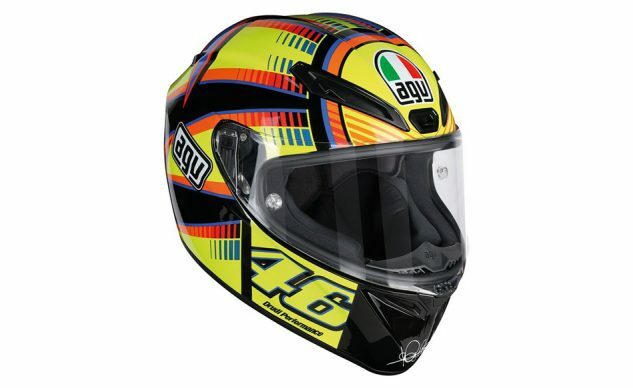 This Italian stallion melds features from AGV’s Pista track helmets with touring functionality. Big airflow from a track-developed ventilation system doesn’t interfere with a quiet, comfortable ride. 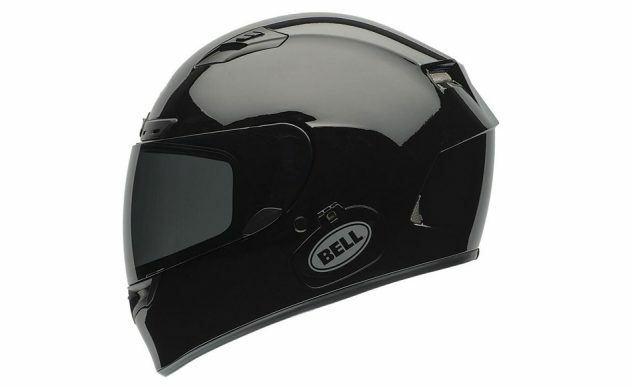 Four sizes of the carbon/aramid/fiberglass shell keep it compact and aero. 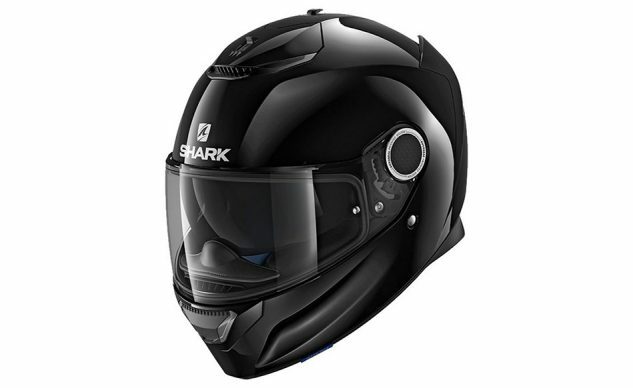 The quick-release face shield is fitted with a swivel mechanism which provides a perfect seal with the shell, a Pinlock lens is included, the interior is, of course, plush and removable – and the Valentino link is unmistakable. Unless you just want a solid color. 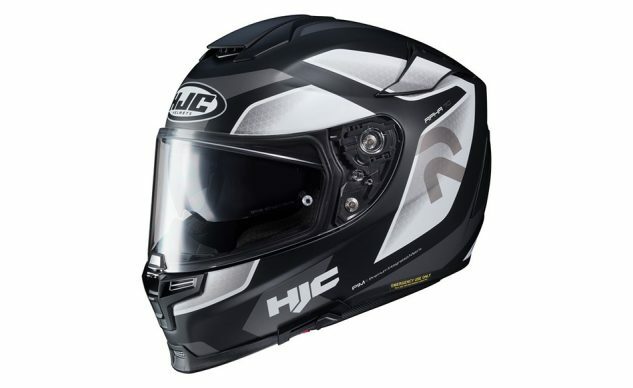 HJC is a Korean manufacturer that’s been in the skidlid business for 47 years, and every time we stick our head in one lately, we’re pleasantly surprised by a level of fit, materials, and lightness that belies the price point. 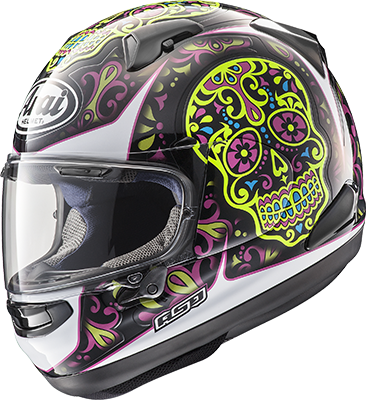 This one’s lightweight carbon fiber/ carbon-glass hybrid fabric shell takes on an intermediate oval shape (Arai’s most popular in North America), and aims to “bridge the gap between sport riding and touring.” It comes with an anti-fog internal sunshield and an antifog insert. You know how the Germans are. This one’s got “perfected aerodynamics for high-speed stability” and is constructed using an innovative proprietary method called Direct Fiber Processing (DFP), yielding a shell of superior strength that is no thicker in any one area than it needs to be. Inside, we’re inherently antibacterial, washable, and fast-drying, with a seamless headliner and integrated spectacle channel. 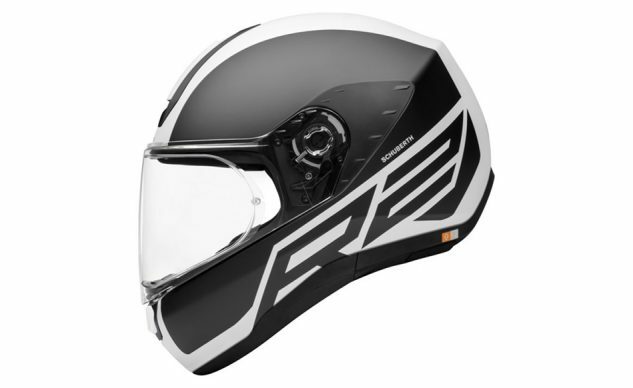 Further, the R2 is ready to accept the plug-and-play SCHUBERTH SC1-System (sold separately), with integrated antennae, pre-installed speakers and microphone. Pretty cool, really. Arai’s touring-oriented helmets are some of the nicest places you’ll ever find in which to shove your head. The Signet fits best onto long, narrow skulls, whilst the Quantum’s new Peripherally Belted Super Complex Laminate Construction shell is more receptive of rounder heads. 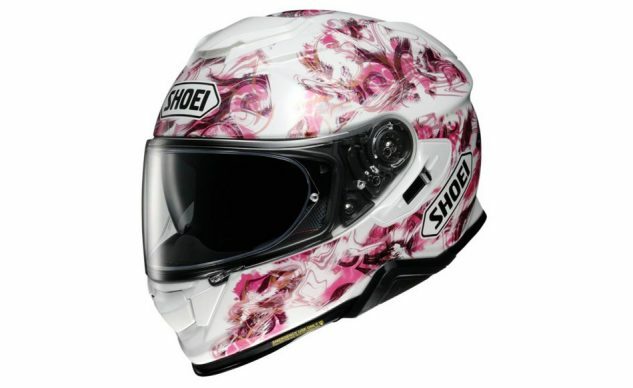 At Arai, they’re all about the fit, and a good fit reaps rewards in all areas of helmet performance including safety. Both helmets are highly evolved products with great ventilation, excellent shield mechanisms (Pinlock antifog shield included), and a vast selection of colors and designs.